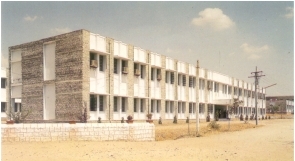 This co-educational Engineering College started in1984, is affiliated to Bharathiyar University, Coimbatore and approved by AICTE located in a 150 acre complex. It has the necessary infrastructure for effective teaching. Known for its high acadamic standards, the college attracts students from all over the South India. It offers B.E / B.Tech. Courses in various Engineering disciplines like Civil, Mechanical, Electrical and Electronics, Electronics and Communications, Computer Science and Engineering, Mechatronics, Textile Technology and Information Technology. This institution accommodates over 600 students per year and nearly 2500 students have already graduated. All of them are well employed. A good number are undergoing post graduate studies in India and abroad. The college placement center functions very effectively and 200 students get placed annually through campus recruitment.